It will be big. It will be bright. But contrary to its name, it will not necessarily be pink. 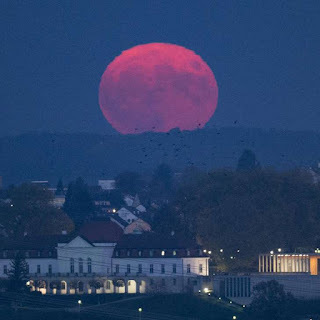 April’s Pink Moon — also called the Egg Moon, Sprouting Grass Moon or Easter Moon — is named after pink wild flowers called wild ground phlox, which bloom in early spring and become widespread throughout this time of year, according to Space.com. 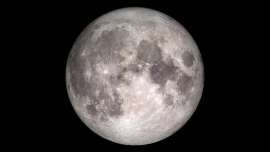 Full moon names originated from different Native tribes, which used the moon to mark the end and beginning of seasons. While it may not be hot pink, this spring’s full moon is still set to be special. The Pink Moon will reach peak fullness, which occurs when the moon is on the exact opposite side of the Earth as the sun, at 2:08 a.m. ET Tuesday — 11:08 p.m. PT on Monday. But it will still appear to stargazers everywhere until April 12.